Since the first description of changes in the B-mode ultrasound signal of the brain in patients with Parkinson disease in 1995, the use of transcranial sonography (TCS) to assess brainstem and subcortical brain structures has become an important tool for the diagnosis and differential diagnosis of various movement disorders. Today it is applied in the clinical routine and for research purposes all over the world. Because of the underlying physical principles, TCS displays alterations associated with movement disorders differently compared to other neuroimaging methods. Thus information obtained by TCS may be regarded as supplementary. The most widely recognized finding for movement disorders has been an increase in echogenicity of the substantia nigra (SN) in idiopathic Parkinson disease (iPD). This finding enables the reliable diagnosis of iPD with high predictive values. Other sonographic features, such as hypoechogenicity of the brainstem midline and hyperechogenicity of the lentiform nucleus, may help in the differential diagnosis of iPD and other movement disorders. Here we review the method, advantages, and limitations of this neuroimaging tool, and include guidelines for the scanning procedure. Examples for application are illustrated. 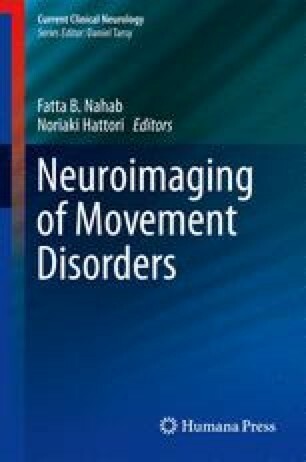 This review substantiates that TCS is a reliable, noninvasive, commonly available, easily applicable, and inexpensive method, which provides new information about the morphology of the brain to support the diagnosis of various movement disorders.